Buying, Renting or Selling a home is one of life's most important decisions "My goal is to help you through the complicated sales process in a seamless and stress-free environment, while helping you negotiate the best deal possible!" 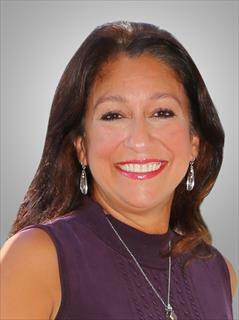 Yasminie aka "Minnie" is a full-time Licensed Professional Realtor in both Florida and New Jersey. Prior to her Real Estate Career, Yasminie spent ten years at Proctor & Gamble in the Beauty Division where she excelled at Negotiations and Business Development. Yasminie is naturally engaging and persuasive, which serves her clients well, as does her honesty, integrity and professionalism! In preparation for her move to South Florida, Yasminie was tasked with listing and selling her own home along with finding a new home in Florida. She understands firsthand the emotional stress of preparing a home for sale and the process of marketing, negotiating and closing; simultaneously, packing and arranging for movers. Once in Florida, the journey of finding a place to call home became top priority. Choosing an Realtor that has first-hand experience is your key to success! Yasminie is known for her easy-going, friendly attitude, her cooperative spirit, and her love of laughter, but when her clients' interests are at stake, her intense loyalty, tenacity, negotiating skills and "out of the box" problem solving abilities come to the forefront. Make the call today to have Yasminie "Minnie" help you with your buying, selling or renting needs. A real estate experience destined to be unforgettable and one that will be shared with others for generations!